Tim Delaney joined Lindsay Kenney LLP in 1990 and became a partner in 1999. A member of the General Litigation Group, he works in the firm’s Vancouver office. Tim’s practice includes personal injury actions, commercial litigation, employment litigation, and defamation cases. Well known as a personal injury lawyer in Vancouver, he has a wealth of experience as a trial and appellate lawyer including appearances at the Supreme Court of Canada. Tim acts for TransLink’s captive insurer defending claims against the South Coast British Columbia Transportation Authority and its subsidiaries. In the field of employment law, Tim acts for both employers and employees. Based on his long experience as an employment lawyer, he has authored papers on employment law subjects and delivered lectures and papers to the Annual CLE Employment Law Conference. His experience includes claims of wrongful dismissal, breach of privacy and loss of pension or other benefits. He also has significant experience with workplace policies involving ill or disabled employees, including experience with human rights complaints. Tim’s commercial litigation experience involves all manner of business disputes including disputes between shareholders or investors, defamation cases, contract claims, and claims involving fraud and breach of fiduciary duty. Tim also acts for clients who have been injured in motor vehicle accidents and accidents arising from defective products or premises. He has significant experience dealing with cases involving chronic pain conditions like fibromyalgia or myofascial pain syndrome. He assists clients with claims involving traumatic head injuries, injuries to the connective tissues, and spinal injuries. 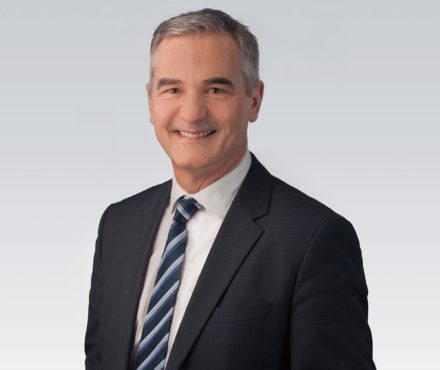 Tim is a former President of the Vancouver Bar Association, the Canadian Bar Association Law Reform Committee and the national Law Week Committee and served six years on the CBA Provincial Council. Away from the office and courtroom, Tim pursues many interests, including travel, golf, softball, fly fishing and hockey. 2016 02 16 BCSC 235 O’Dea v. Ricoh Canada Inc.
2015 04 02 BCSC 506 Brown v. Dhariwal et. al. 2015 02 25 BCSC 278 True Colors Painting Ltd. v. 0846747BC Ltd.
2014 05 29 BCSC 937 MacAulay v. Field et.al. 2014 01 20 BCSC 86 Capital West Partners v. Playtime Community Gaming Centre Inc.
2010 01 29 BCSC 121 Buchan v. Moss Management Inc.
2009 07 31 BCSC 1049 Pacific Hunter Resources Inc. v. Moss Management Inc.
2008 11 27 BCCA 495 Buchan v. Moss Management Inc.
2008 09 25 BCSC 1286 Buchan v. Moss Management Inc.
2008 07 21 BCSC 960 Pacific Hunter Resources Inc. v. Moss Management Inc.
2008 06 06 BCSC 724 Borsato v. Atwater Insurance Agency Ltd.
2008 03 06 BCSC 285 Buchan v. Moss Management Inc.
2005 02 21 BCSC 227 F.G. v. R.F. 2004 12 10 BCSC 1644 Pacific Hunter Resources Inc. et al v. Moss Management Inc.
2004 08 12 BCCA 423 Buchan v. Moss Management Inc.
2004 07 05 BCSC 889 F.G. v. R.F. 2003 09 11 BCCA 487 Doig v. Laurand Holdings Ltd.
2002 04 11 BCSC 518 Vanderpol v. Aspen Trailer Company Ltd.
2002 03 15 BCSC 396 Pacific Hunter Resources v. Moss Management Inc.
2001 06 08 BCSC 780 Doig et al v. Laurand Holdings Ltd.
2000 11 29 BCSC 1719 Terrafund Financial Inc. v. 569244 B.C. Ltd.
2000 11 23 BCCA 632 Pacific International Securities Inc. v. Drake Capital Securities Inc.
1999 09 23 BCSC Pacific International Securities Inc. v. Drake Capital Securities Inc.
1999 07 06 BCSC Dyck v. Dave Buck Ford Sales Ltd.
1998 12 29 BCSC Arthur Doig and Arma Holdings Ltd. v. Laurand Holdings Ltd.
1997 05 09 BCSC Elms v. Hywel Jones Architect Ltd.
1997 03 21 BCSC Arthur Doig and Arma Holdings Ltd.